At Rochester Indoor Golf Center, you will find extensive selection golf equipment, apparel and accessories for players of all ages. 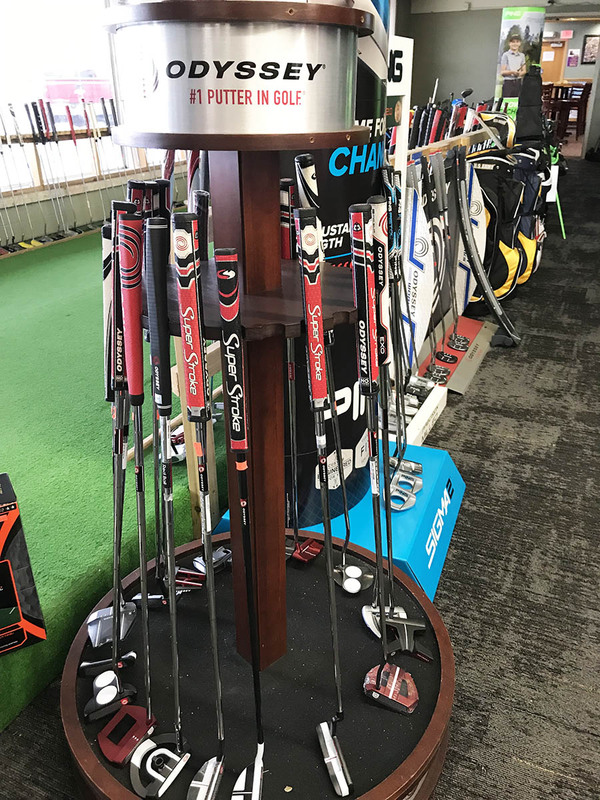 Our selection of golf clubs, balls, bags, shoes and golfing accessories includes top manufacturers like Callaway, Cleveland, Wilson, Cobra, Ping, Titleist, Mizuno and more. Our expert staff can provide expert fitting and advice to take your game to the next level. Not only can you browse our vast selection of clubs, but you can take a demo into our simulators to try the latest drivers, fairway woods, hybrids, irons, wedges & putters. We have complete sets available in men’s, women’s and junior sizes from the top brands. Don’t forget about our 100% Buy Back on all fitted youth golf clubs . Visit “Bag Land” to find the great selection of golf bags to keep your clubs protected and organized. Whether you need golf gloves, balls, tees, range finders, grips or training gear, at Rochester Indoor Golf Center, you can find everything for the golfer for less…always!